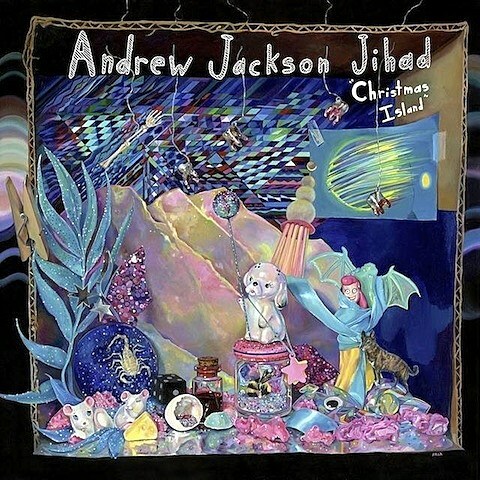 Phoenix folk punks Andrew Jackson Jihad are slated to release their new album, Christmas Island, on May 6 via new home SideOneDummy. The LP serves as the follow-up to 2011’s Knife Man and was produced by John Congleton, who has been behind a smattering of great 2014 releases — Cloud Nothings, Swans, St. Vincent, Angel Olsen, and more. You can take a listen to the album’s lead single “Children of God” at the bottom of this post. If you’re into Against Me!, The Front Bottoms, and/or Titus Andronicus, the tune will most likely sit well with you. AJJ have announced a large summer North American tour with rotating support from Cheap Girls (who we recently caught with Against Me! ), Hard Girls, and Dogbreth. That tour includes a performance at Bottom Lounge on July 16 with Hard Girls and Dogbreth. Tickets for the Chicago show go on sale TODAY (4/18) at noon CST.